Both will give you a quality, a long lasting product, and in most cases either option will work just as well as the other with a few differences. So let's take a look at those differences. 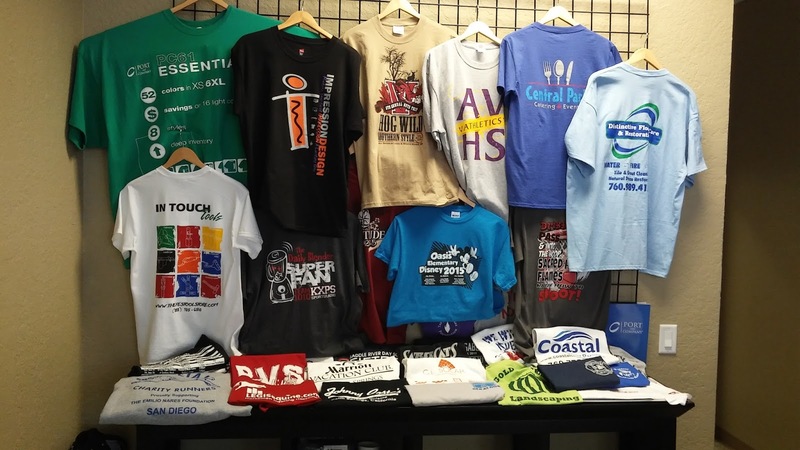 With the vinyl heat transfer process, a heat press machine is used to cut out simple designs and letters in pieces of colored vinyl. the heat press is then used to transfer each vinyl color of the design onto the object being pressed through a process that uses a combination of heat and pressure.This is usually done for smaller runs and only a few colors. When a design is produced using the screen printing method, actual screens are used in the process. The design is burned onto the screens, ink is then spread over the screen, passing through to the garment underneath only in the areas you want it to be. Only one color per screen, so depending on the number of colors in the design, you may need multiple screens to produce the final output on the item. Screen printing is usually for higher quantity runs and multiple color output. You can find us at www.impressiondesign.com or give us a call at 760-469-4055.